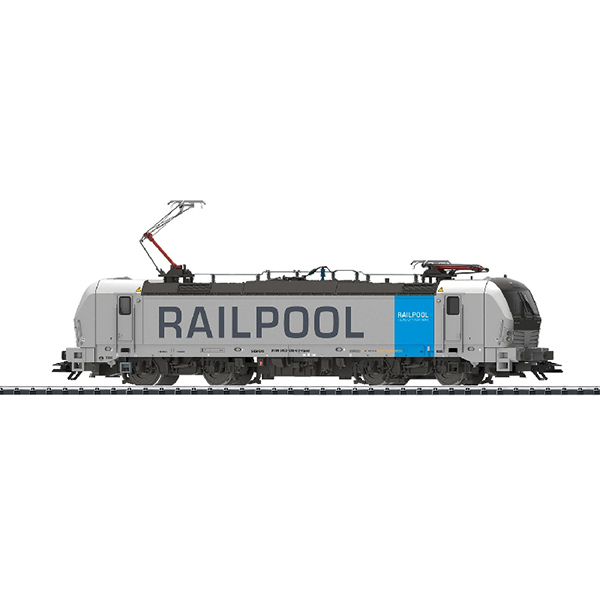 Model: This electric locomotive is constructed of metal and has a 21-pin digital interface connector. It also has a special motor, centrally mounted. 4 axles powered through cardan shafts. Traction tires. The triple headlights change over with the direction of travel and will work in conventional operation. Warm white LEDs are used for the lighting. The locomotive has 2 mechanically working pantographs that are not wired to take power. Length over the buffers 21.8 cm / 8-9/16". Highlights: Completely new tooling for the modern Siemens Vectron electric locomotive. Detailed, affordable beginner's model. An AC model can be found in the Marklin Start up assortment under item number 36194.